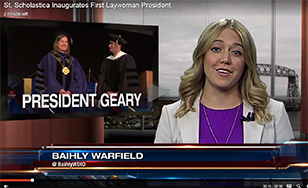 WDIO reporter Baihly Warfield covered the inauguration. Duluth media outlets covered Friday's historic inauguration of President Colette McCarrick Geary. Here's a compilation. In coming days we'll share a photo gallery and video of the event.